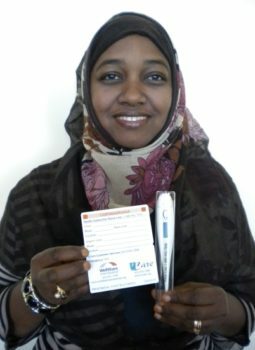 UCare and WellShare International launched a voluntary pilot program in 2011 called Your Health—Caafimaadkaaga in Somali—that is helping primarily Somali and East African immigrants learn about the western health care system and differences between health care resources available to them when care is needed. UCare members who join Your Health receive a one-to-one visit (or phone call for out-state members) at a location of their choosing, during which a WellShare community health worker offers culturally competent communication about the program. During the home visit, the community health worker informs the UCare member about levels of care offered in the western health system and from metro-area providers. The UCare member learns the “how and when” of accessing the types of care available at primary care clinics, urgent care sites, emergency departments, and hospitals so he or she can obtain the type of care needed – when it’s most needed. Members receive a thermometer, a wallet card with important phone numbers for accessing medical care, and small incentives. Because WellShare workers live in the same community as the constituency they serve, they provide effective community-based health education. These cultural liaisons act as a bridge between the health care system and their communities, provide their communities with information about health issues that affect them, and link individuals with the health and social services they need to achieve wellness. Your Health is offered at no cost to eligible UCare members of Minnesota’s Prepaid Medical Assistance Program (PMAP) and MinnesotaCare. UCare identifies members and invites them to take advantage of the program’s services. For more information, contact WellShare at info@wellshareinternational.org or 612-871-3759. Data from UCare and WellShare’s Caafimaadkaaga – Your Health program showed a significant cost savings, with a decrease in emergency department, inpatient and primary care physician visits and an increase in urgent care visits.